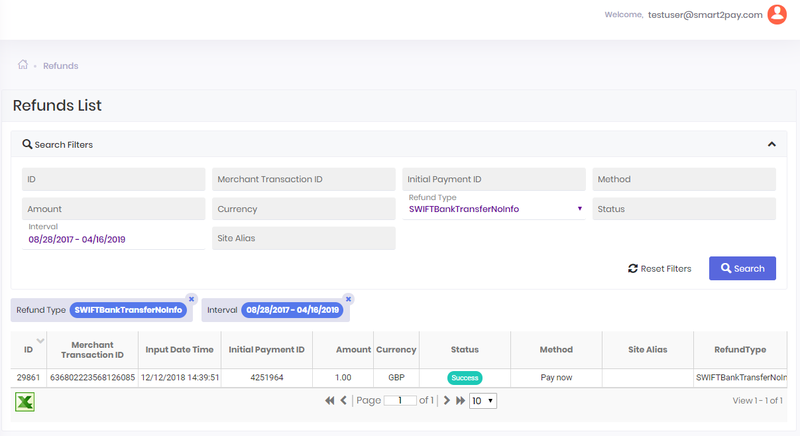 Here you will learn how users established by Merchants can operate with GlobalPay Merchant Dashboard – the web application where users can create or configure their websites, initiate refunds, operate the transactions (actions possible: view, filter, search, export in Excel format) and request and activate new payment methods for their account. 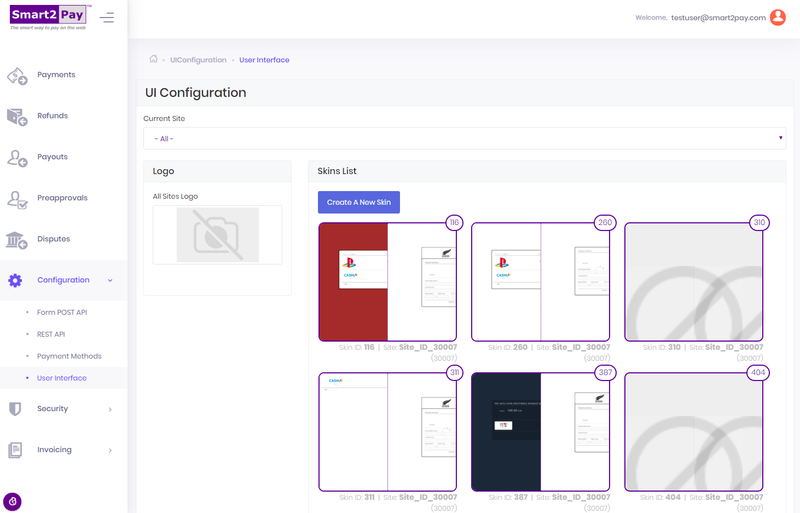 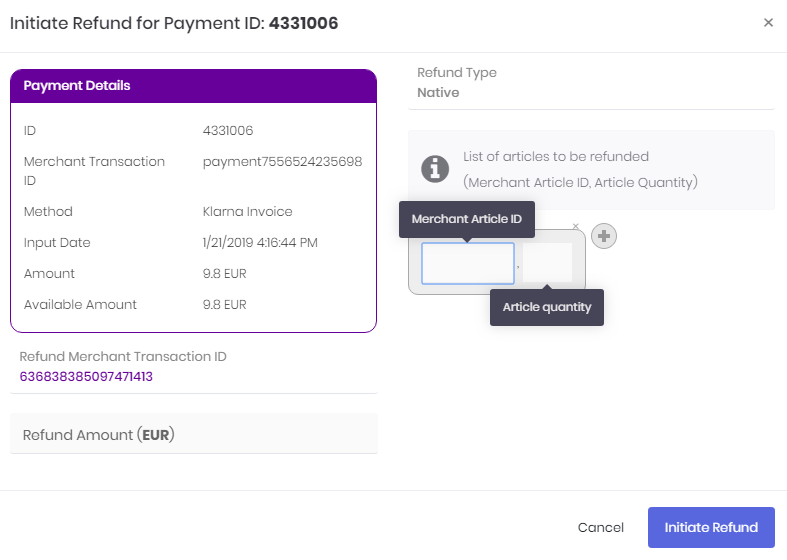 Upon the creation of your Documentation Account we have created for you a Dashboard Account and an Online Boarding Account, with the same user email and password. 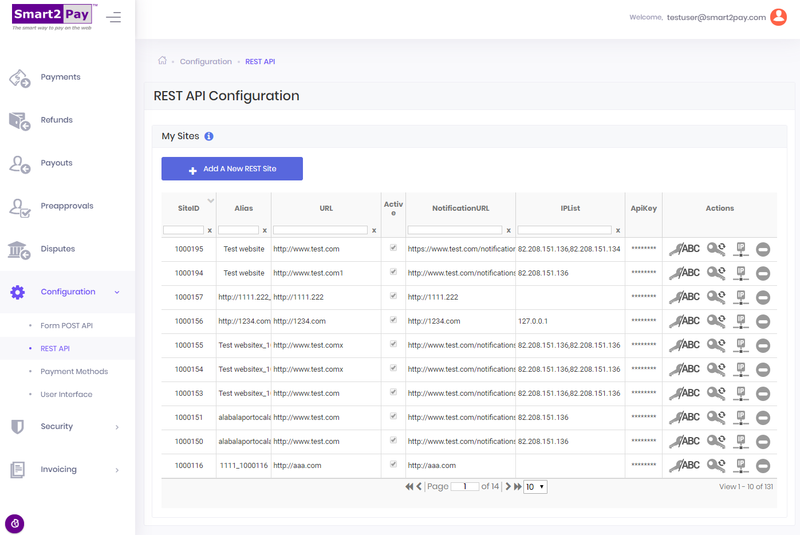 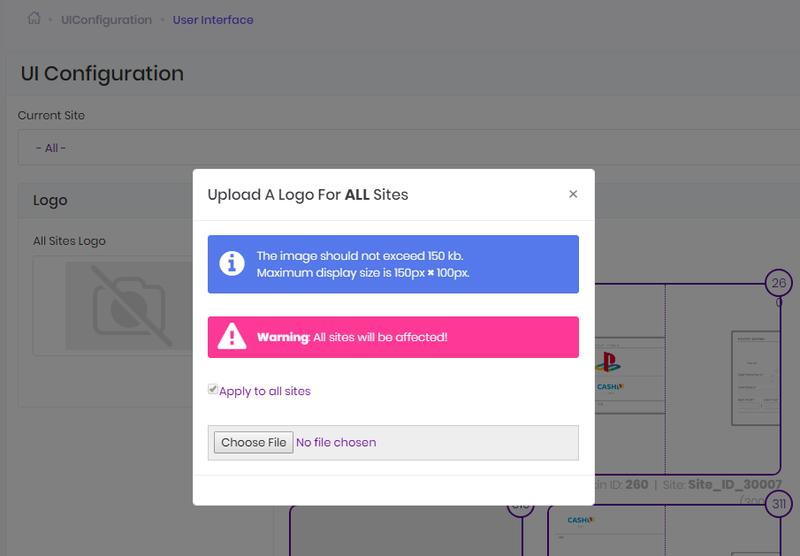 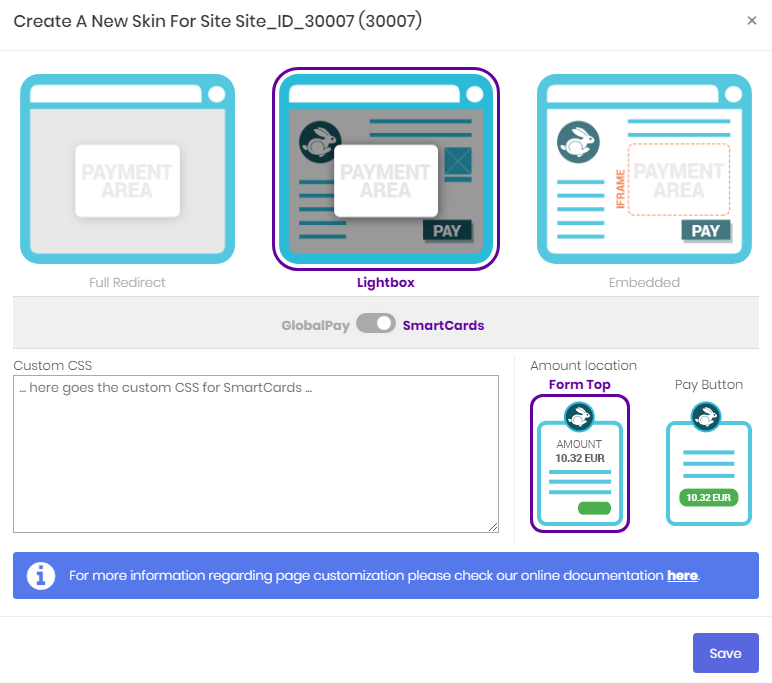 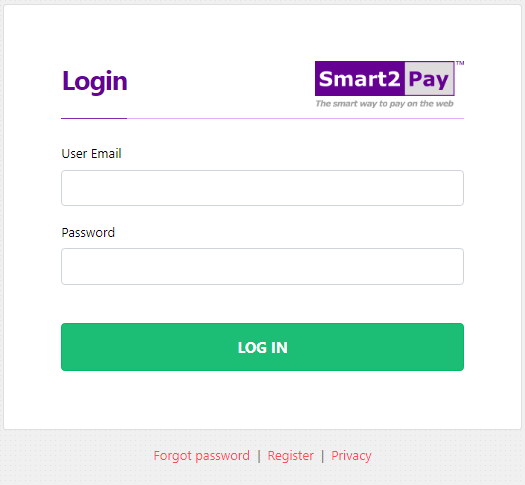 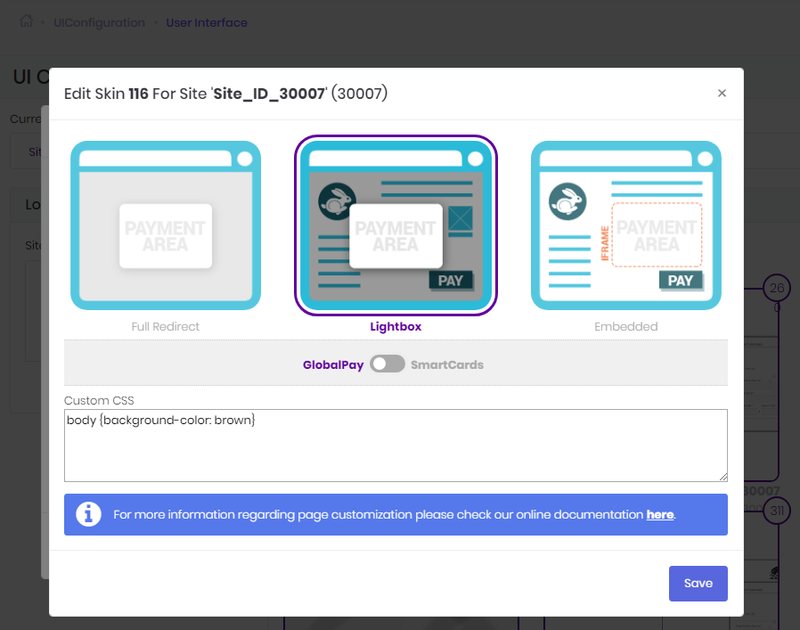 Once you are registered you will be able to configure your websites and operate the transactions from your Dashboard Account at https://dashboardtest.smart2pay.com/, and also you can proceed in further completing the Onboarding process. Access the Payouts tab in order to see and verify your payouts. 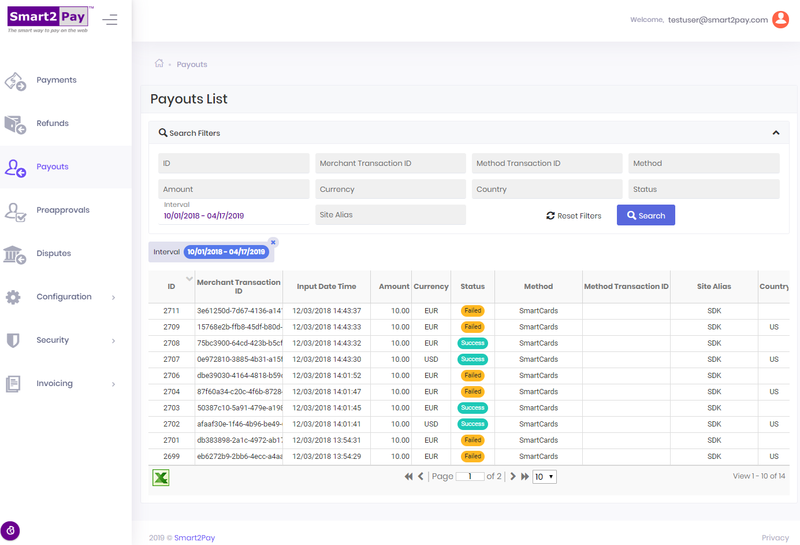 Here you will find a complete list of all of your payouts. 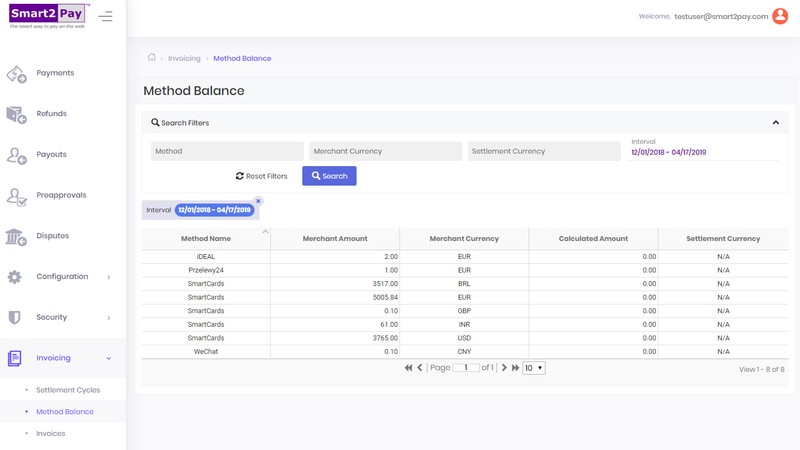 You have the possibility to search for a specific payout using different search filters, to see the details of the payouts, and to export your payouts into an Excel file. 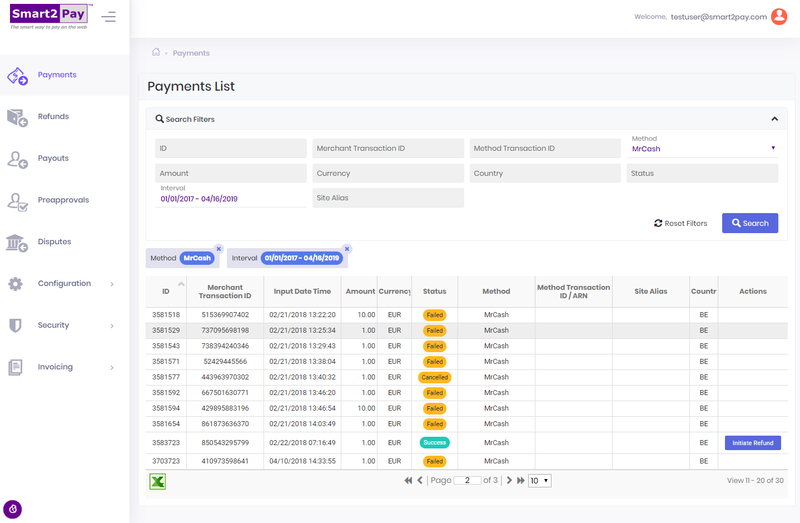 When you access the Payouts tab, the Search Filters section is expanded. 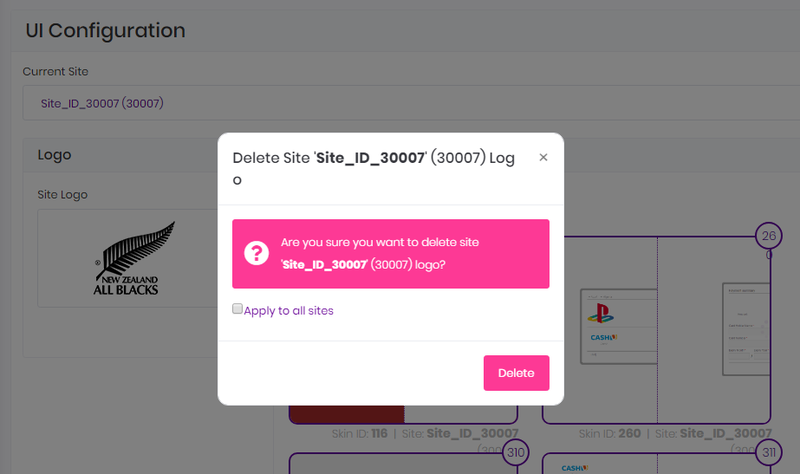 In order to collapse it just click the arrow on the right of the screen. 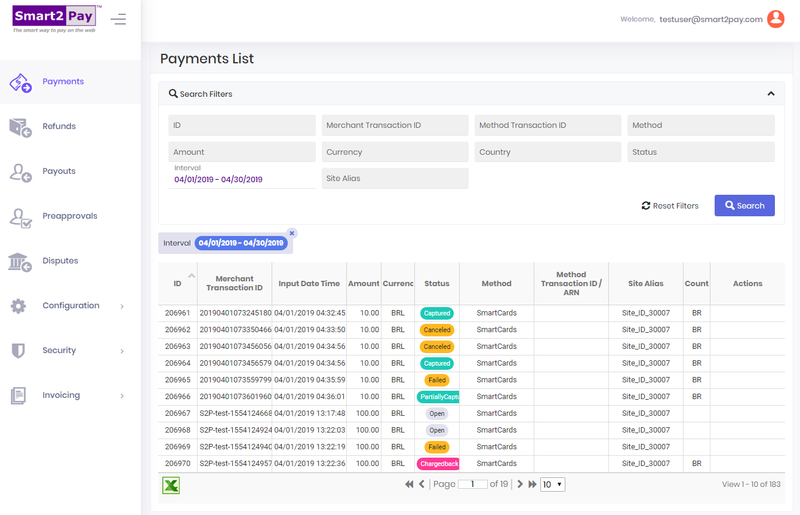 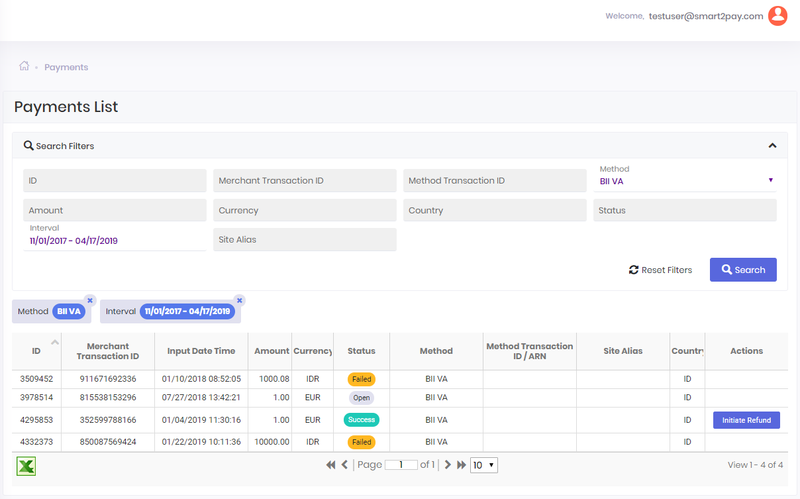 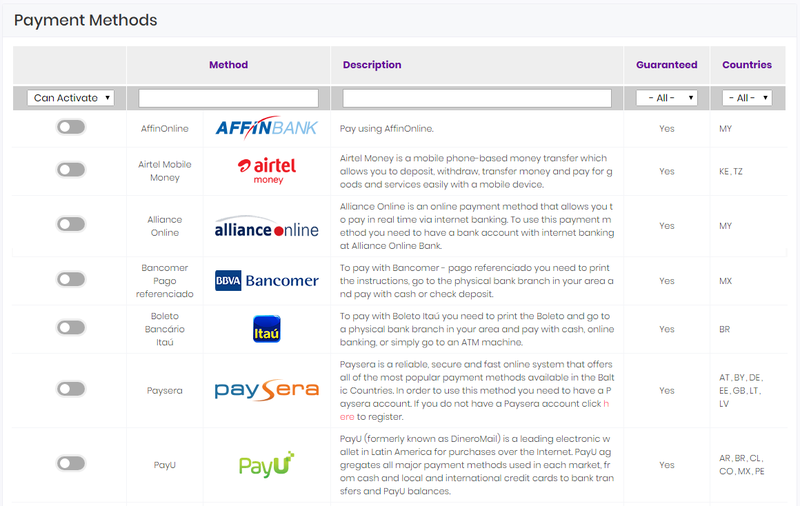 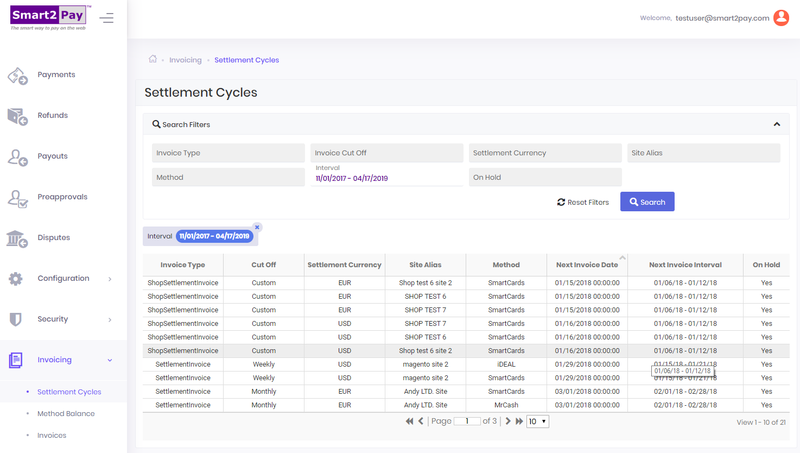 You can search payouts by ID (the payment id in the GlobalPay system), Merchant Transaction ID (the payout id in your system), Method Transaction ID (used for transaction tracking and matching with customer receipt or bank statement), Method, Amount, Currency, Country, Status, Interval (from – to) and Site Alias. 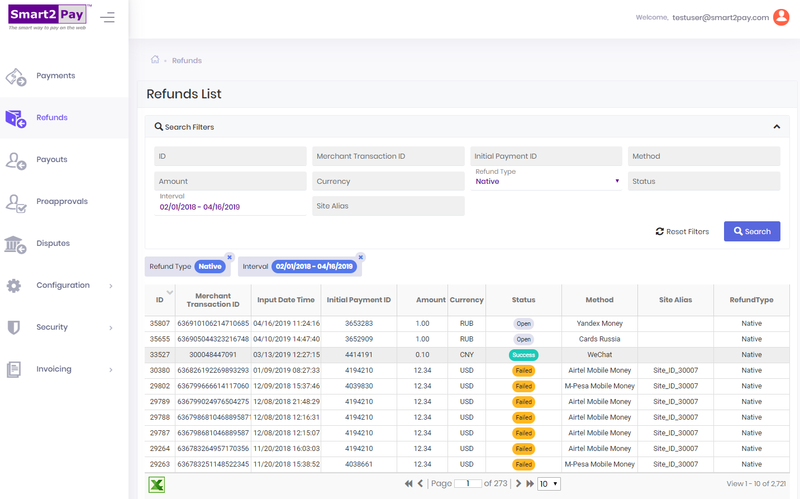 After you have found the transaction you’ve been looking for, using the search filters, just click on it to see the specific details of that payout. 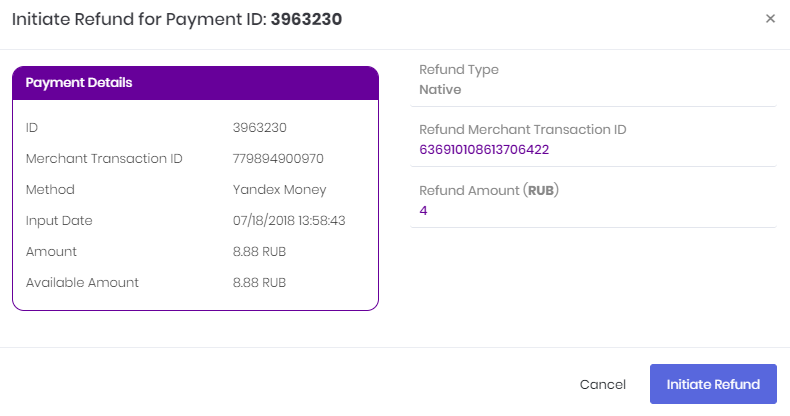 A new window will open containing the general details for that Payout ID and also providing details about specific sections, like: General information, Credit Card, Reporting, Flags and Reason Codes. The list of payouts can be exported (filtered or not) to an .xls file. 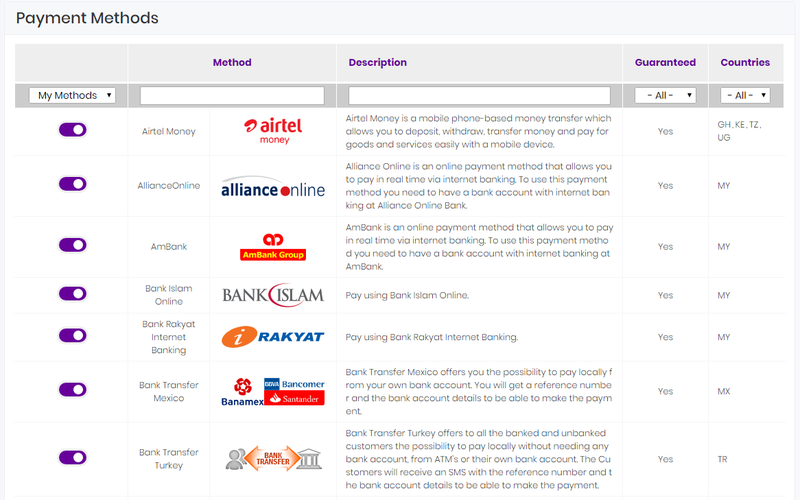 The file contains the following information: ID, MerchantTransactionID, InputDateTime, Amount, Currency, Status, MethodName, StatusID, MethodID, MethodTransactionID, SiteID, Alias and Country. 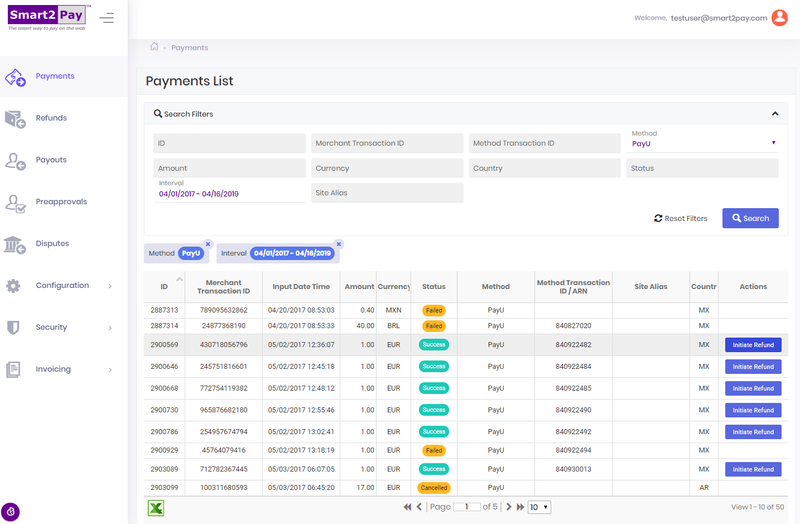 Go to Payouts tab from the dashboard and use the search filters to find a specific payout. 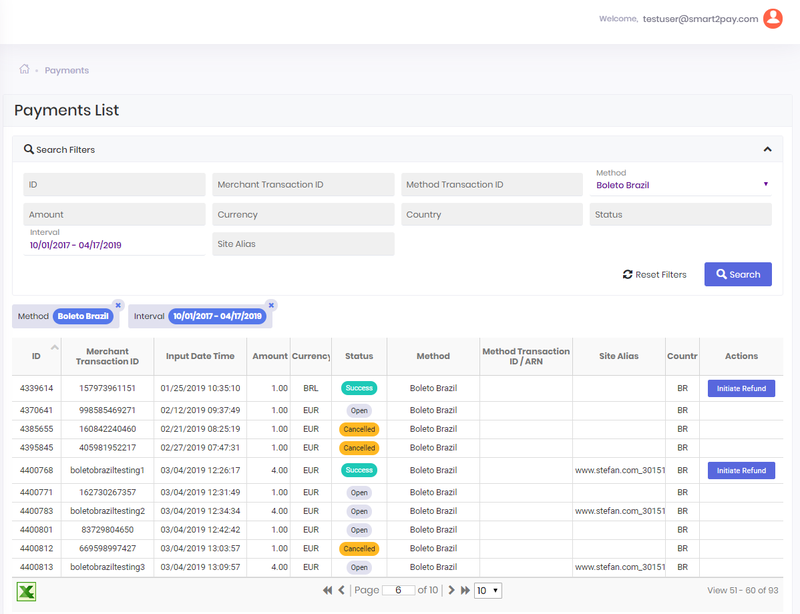 After you have found the transaction you have been looking for, using the search filters, just double click on it to see specific details of that payout. The dashboard Payout Details allows the user to always find specific information in order to be informed and keep track of his day-to-day operations and payouts. 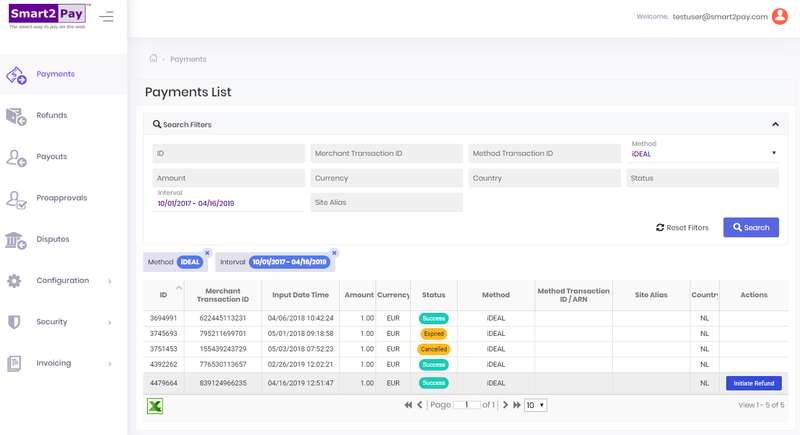 General provides detailed information for the following fields: ID of the transaction, Merchant Transaction ID, Input Date Time, Merchant ID, Merchant Site ID, Method ID, Merchant Alias, Merchant Site Alias, Method Name, Amount, Currency, Status, Statement Descriptor, Originator Transaction ID, Country, Specific Details and Method Transaction ID. 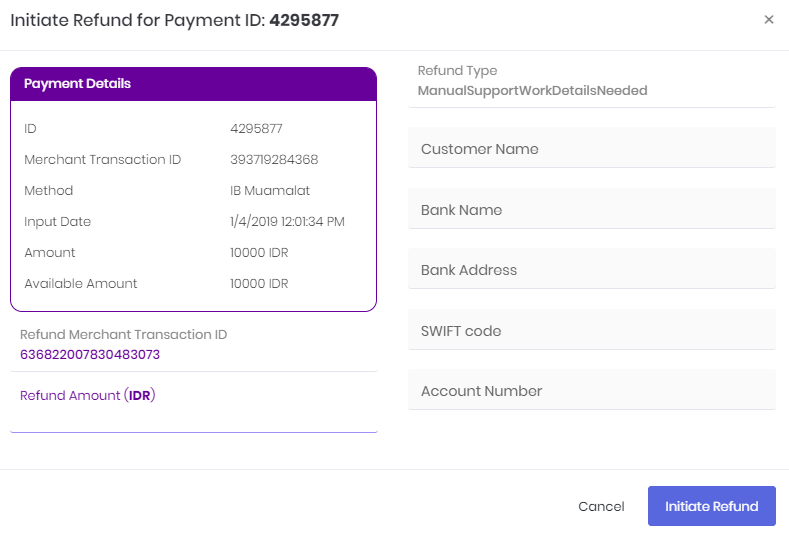 Credit Card provides detailed information for the following fields: Masked Card Number, Card Expiration Month, Card Expiration Year, Card Holder Name, Credit Card Brand, Credit Card Sub-Brand. 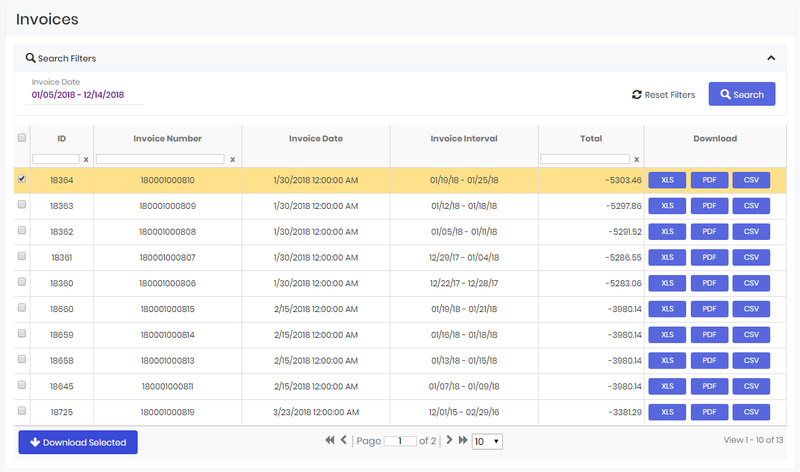 Flags provides detailed information for the following fields: Request Version. Access the Preapprovals tab in order to see and verify your preapprovals. 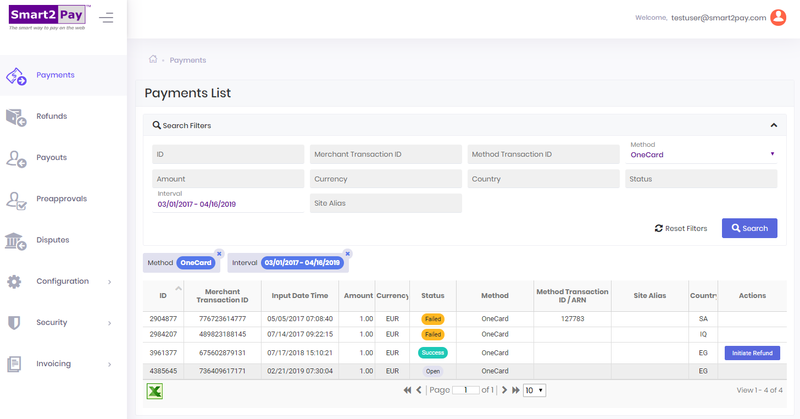 Here you will find a complete list of all of your preapprovals. 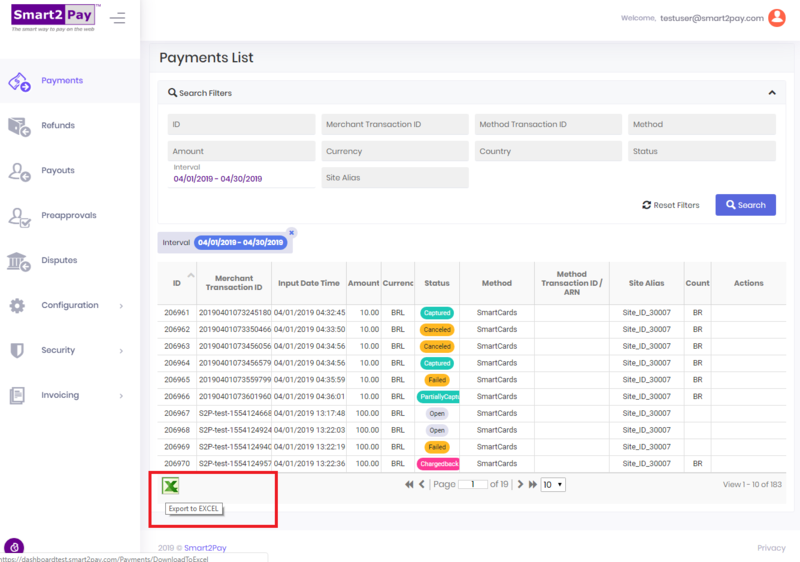 You have the possibility to search for a specific preapproval using different search filters, to see the details of the preapproval and all the payments associated with the preapproval. 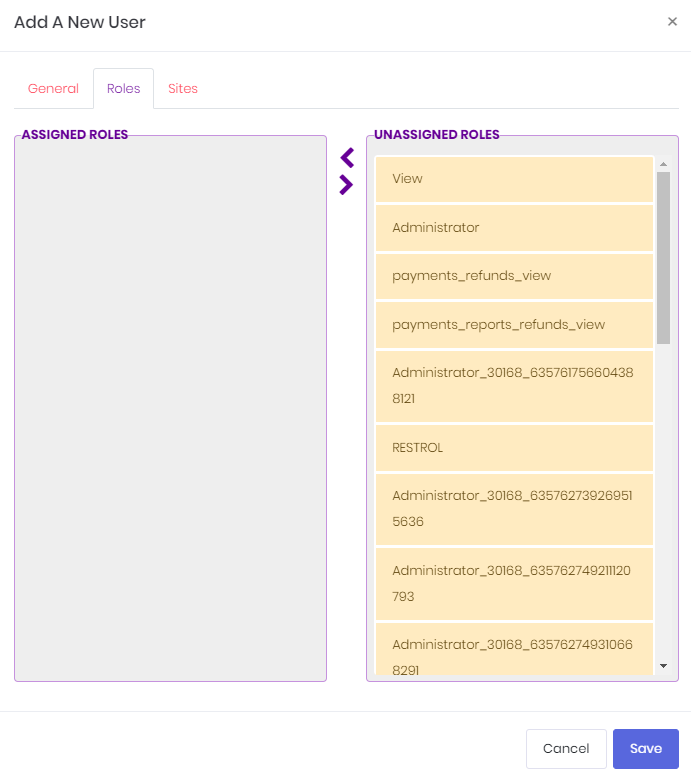 When you access the Preapprovals tab, the Search Filters section is expanded. 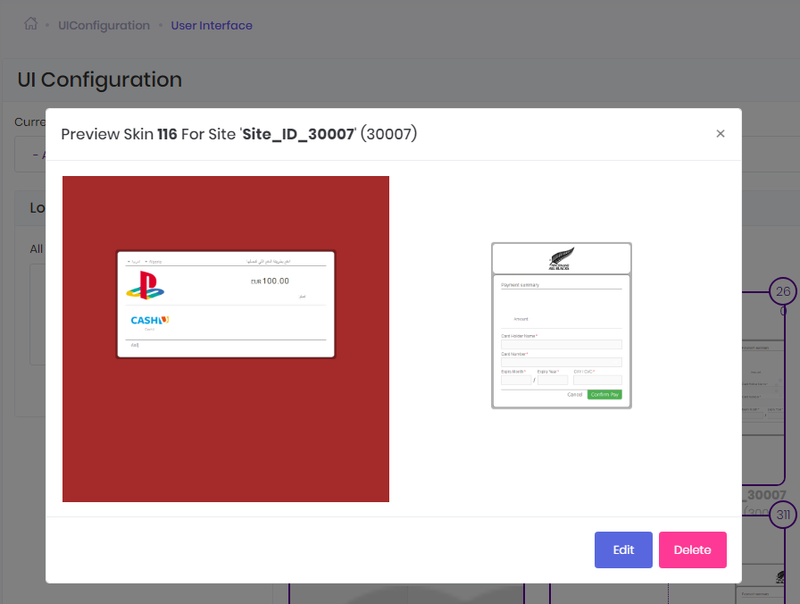 In order to collapse it just click the arrow on the right of the screen. 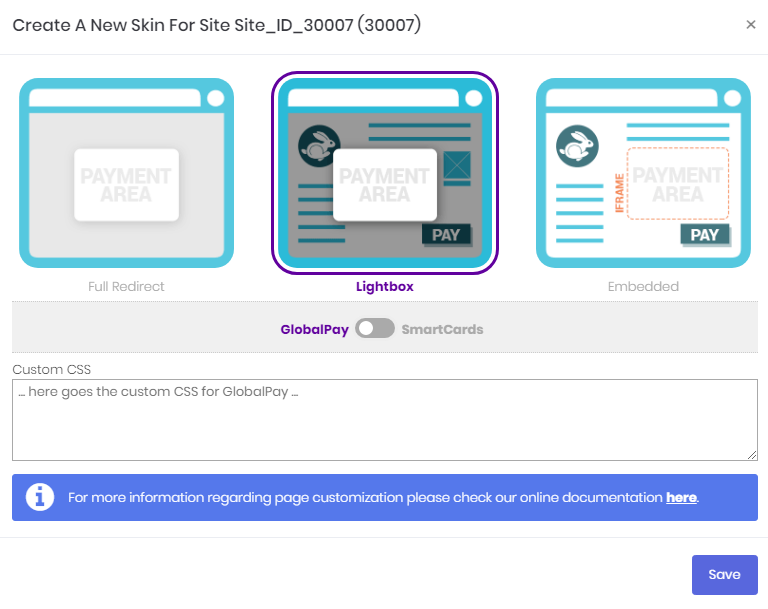 You can search preapprovals by ID (the preapproval id in the GlobalPay system, a unique number that identifies the preapproval in the GlobalPay system; you will need to store this id in order to initiate recurring payments. ), Merchant Preapproval ID (the preapproval id in your system), Status, Method, Site Alias and Interval (from – to). 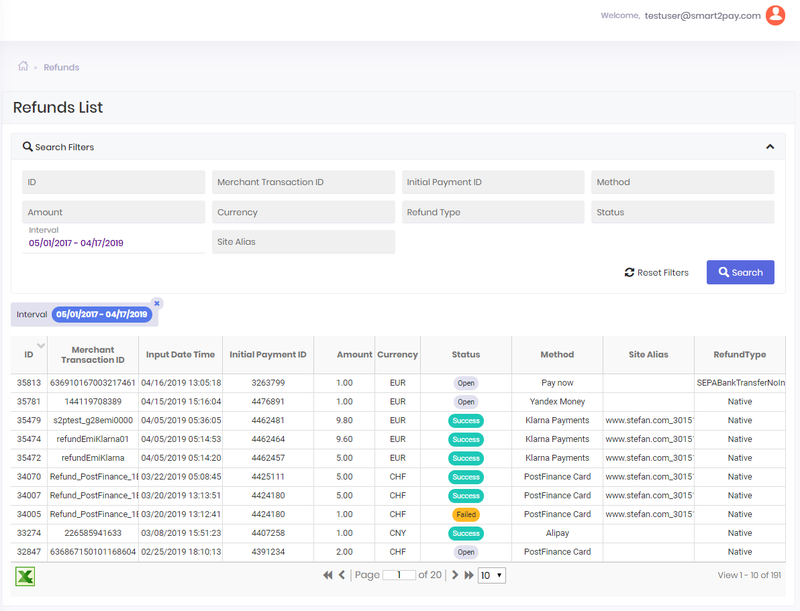 After you have found the transaction you’ve been looking for, using the search filters, just click on it to see the specific details of that preapproval. 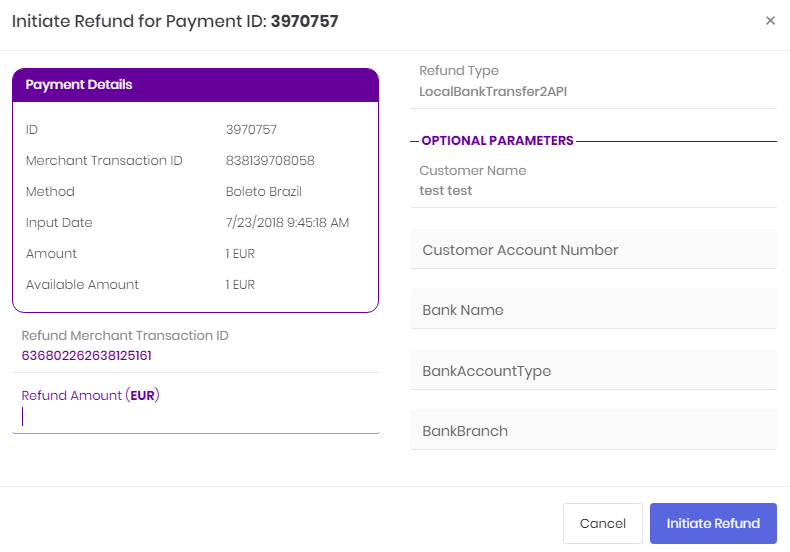 A new window will open containing the general details for that Preapproval ID and also providing details about all the payments associated with that preapproval. 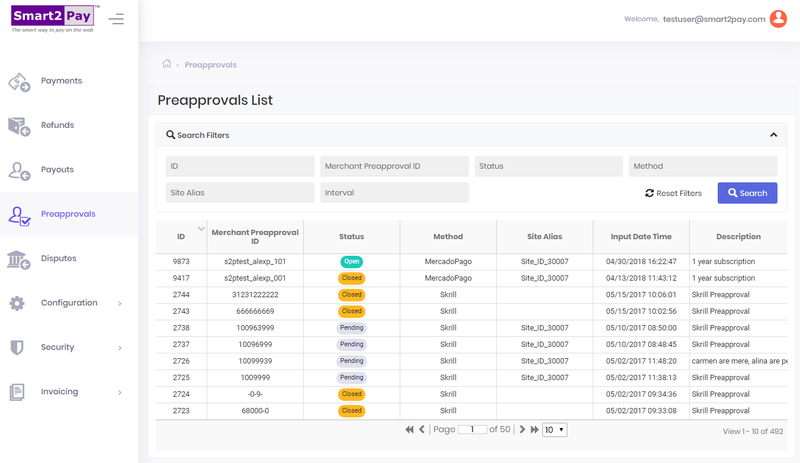 Go to Preapprovals tab from the dashboard and use the search filters to find a specific preapproval. 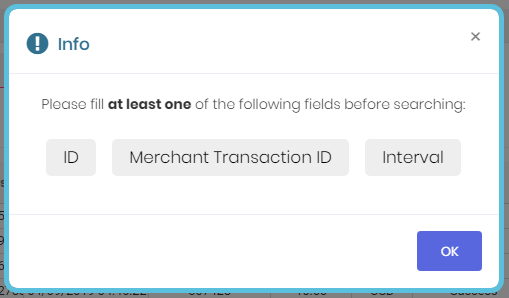 After you have found the transaction you have been looking for, using the search filters, just double click on it to see specific details of that preapproval. 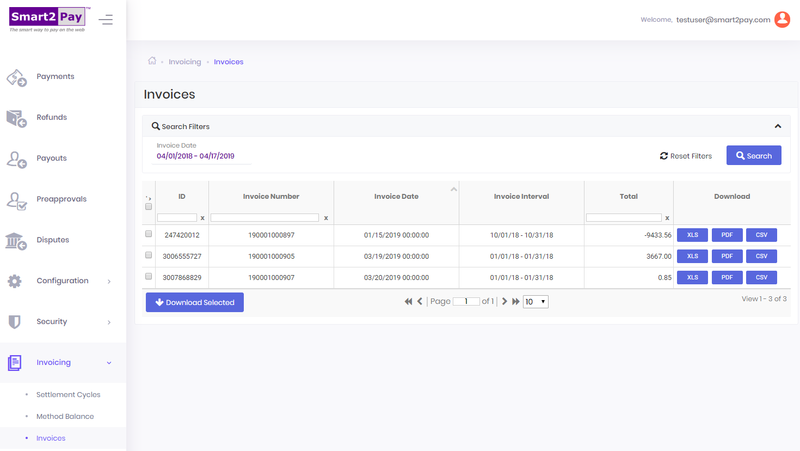 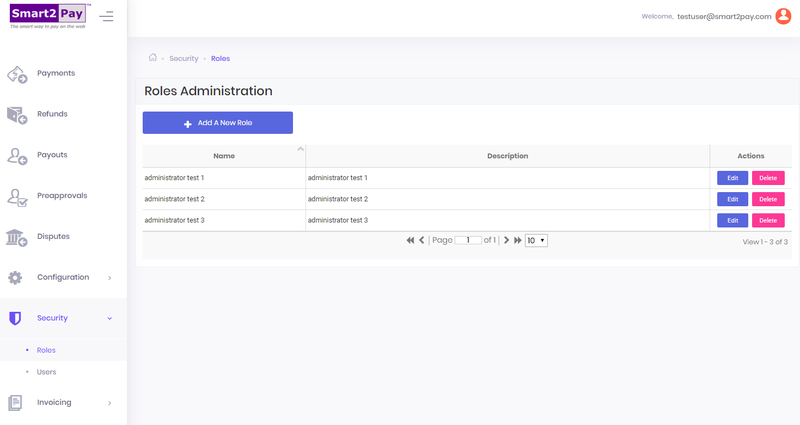 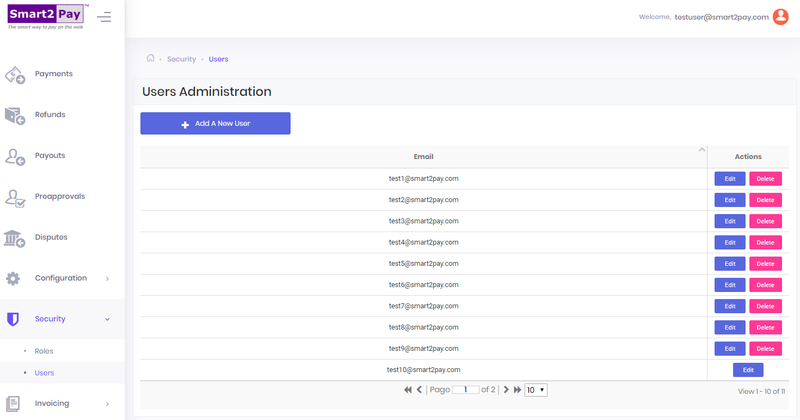 The dashboard Preapprovals Details allows the user to always find specific information in order to be informed and keep track of his day-to-day operations and preapprovals. General provides detailed information for the following fields: ID of the preapproval, Merchant Preapproval ID, Status, Method ID,Site ID, Site Alias, Merchant Alias, Merchant ID, Input Date Time, Description, Details, Maximum Amount, Currency, Method Option ID, Frequency, Mandate Reference. 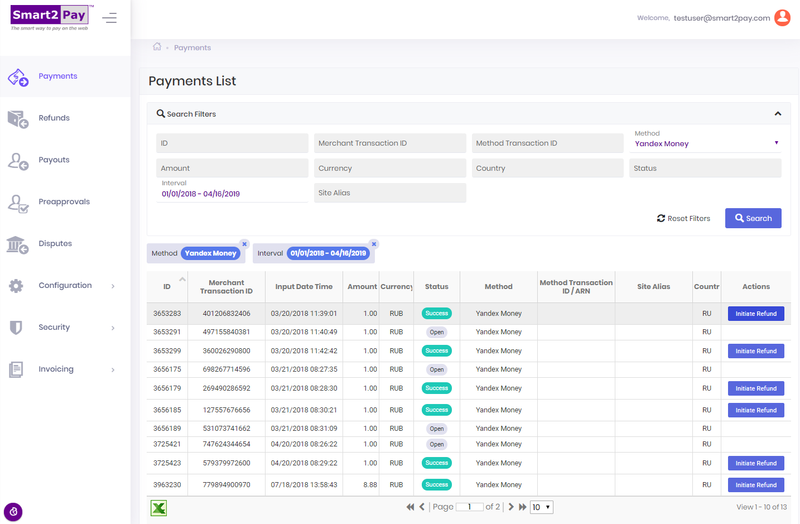 Payments contains a list of all the payments associated with that preapproval and provides detailed information for the payment’s following fields: Payment ID, Merchant Transaction ID, Amount, Currency, Status, Method, Root Provider Transaction ID, Site, Country. 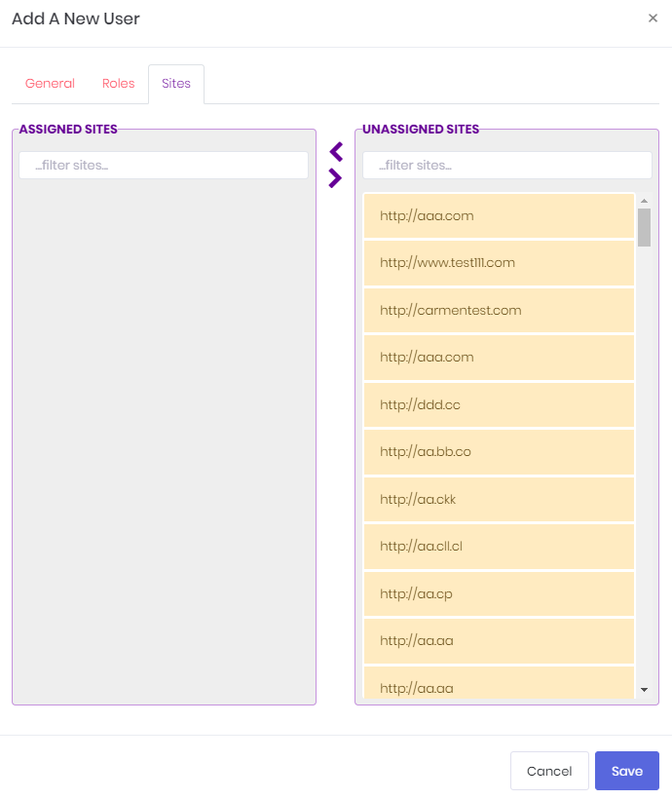 Access the Disputes tab in order to see and verify your disputes. 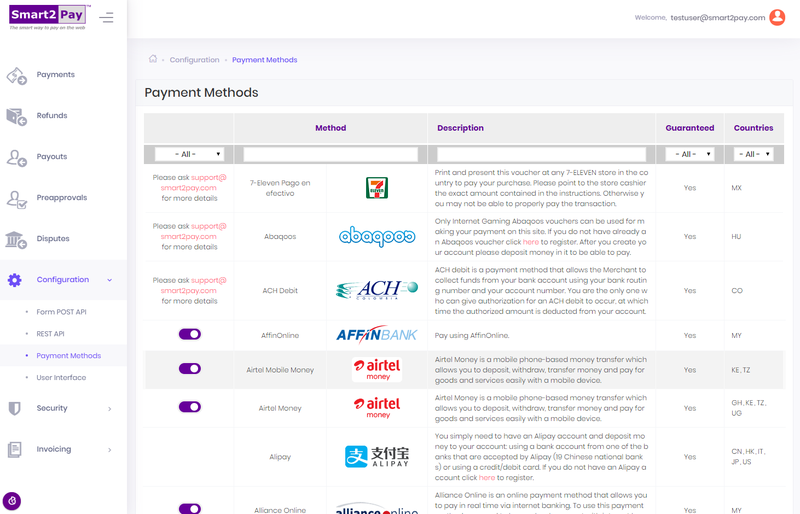 Here you will find a complete list of all of your payments that are disputed by the customer. 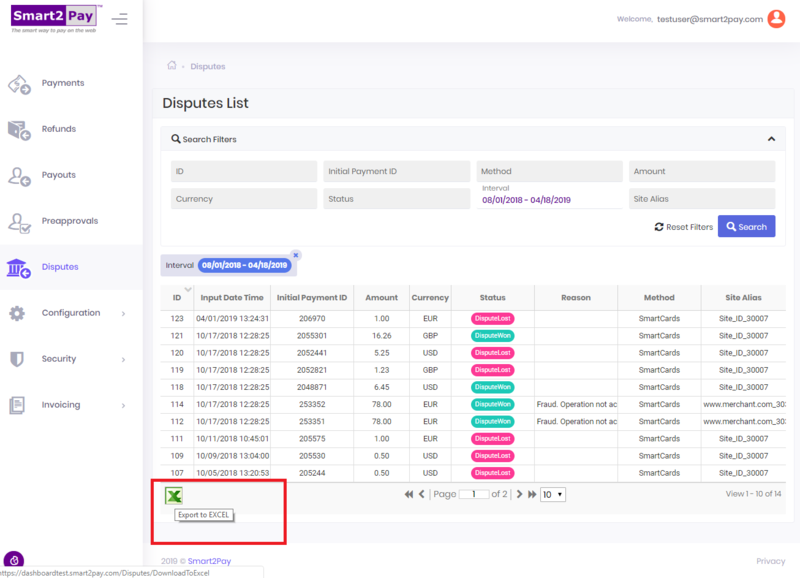 You have the possibility to search for a specific dispute using different search filters, to see the details of the disputes, and to export your disputes into an Excel file. 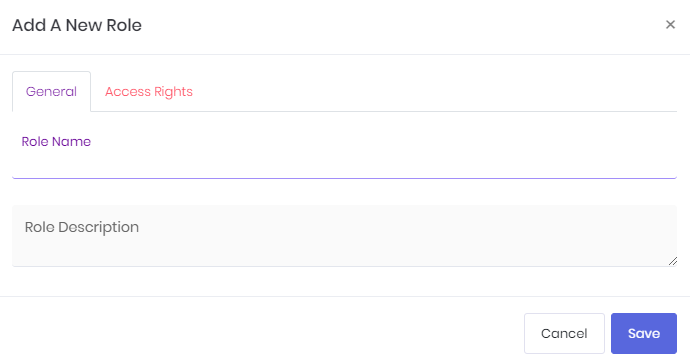 When you access the Disputes tab, the Search Filters section is expanded. 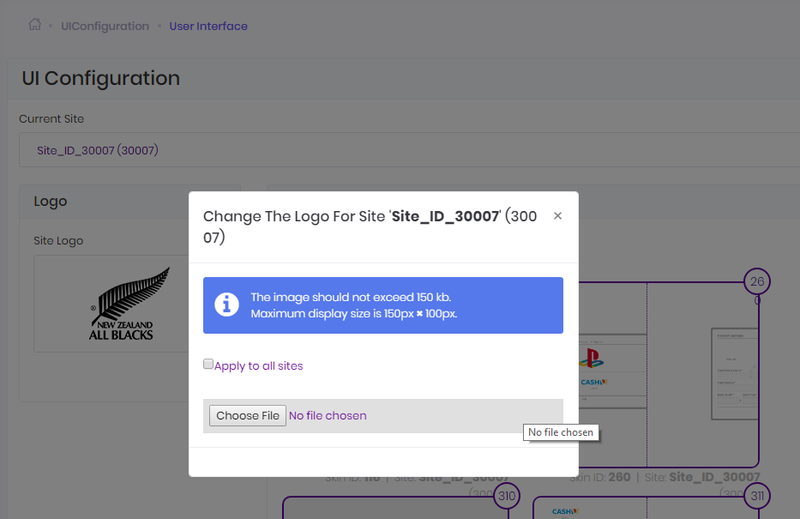 In order to collapse it just click the arrow on the right of the screen. 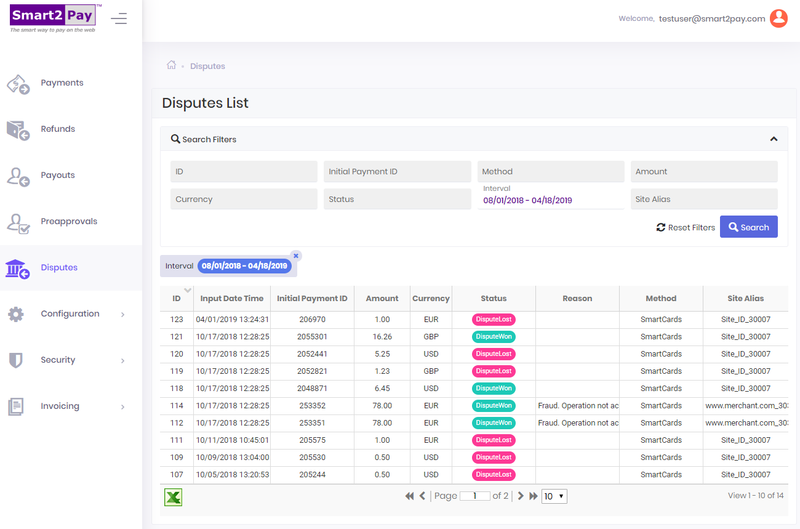 You can search disputes by ID (the dispute id in the GlobalPay system), Initial Payment ID, Method, Amount, Currency, Status, Interval (from – to) and Site Alias. 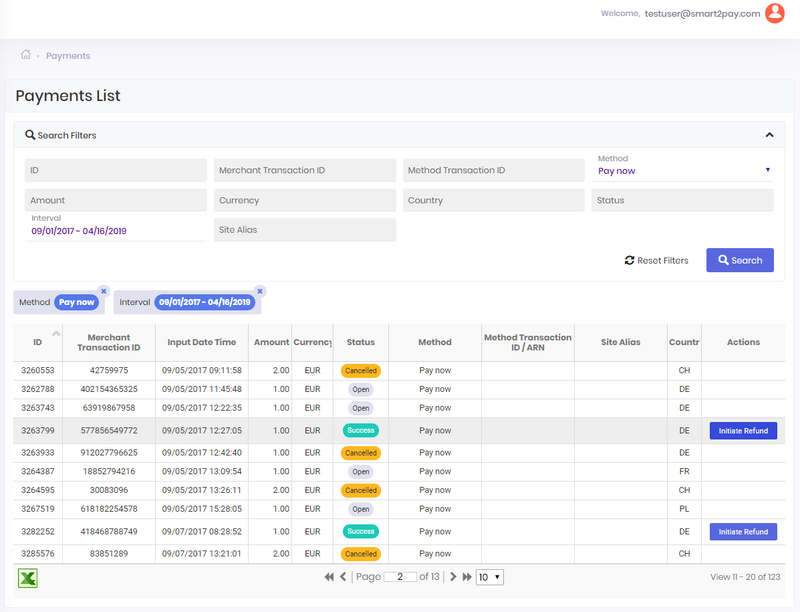 After you have found the transaction you’ve been looking for, using the search filters, just click on it to see the specific details of that dispute. 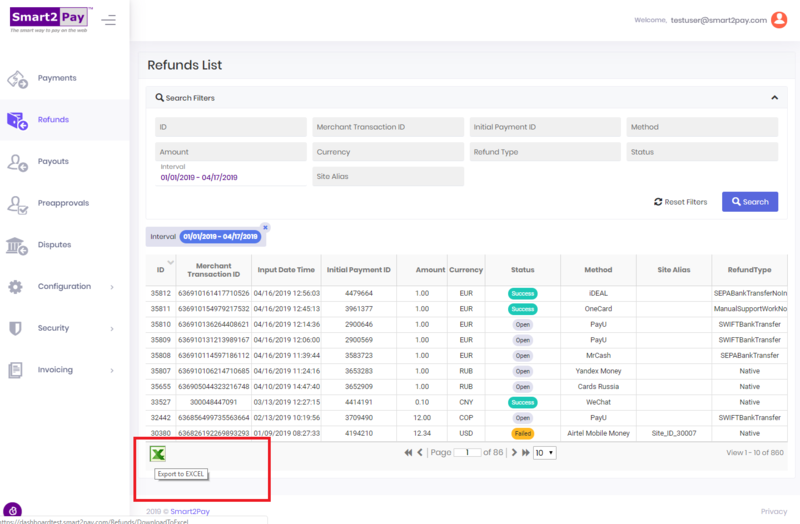 A new window will open containing the general details for that disputes ID and also providing details about specific sections, like: Reporting, Reason Codes, Initial Payment. 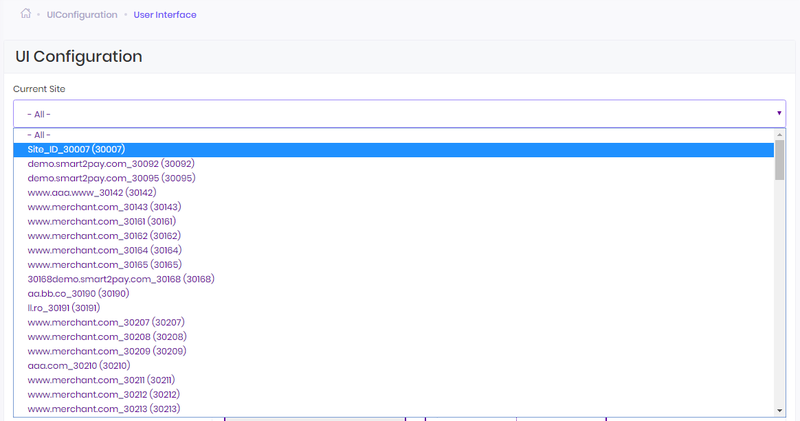 The list of disputes can be exported (filtered or not) to an .xls file. 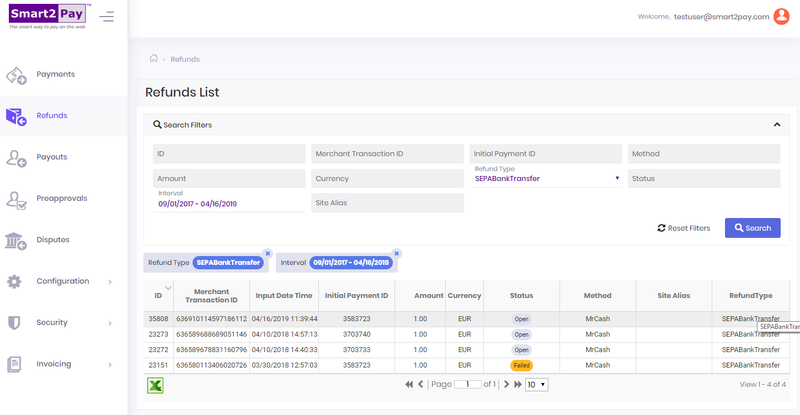 Click on the Export to EXCEL button at the end of the list of payments. 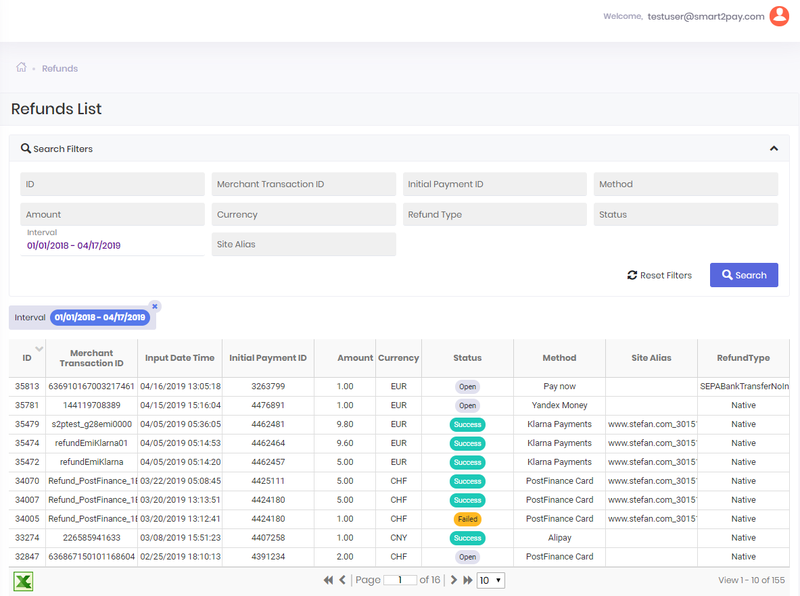 The downloaded file contains the following information: ID, Input Date/Time, Payment ID, Originator Transaction ID, Amount, Currency, Status, Status ID, Method, Method ID, Site ID, Site Alias, Reason Code and Reason.